Creative Media & ICT: Teachers - Publish Your Own Books! Hot off the press from Apples big show and tell event is news of the release of the iBooks Author, a free app for iPads which means we can all become publishing moguls! 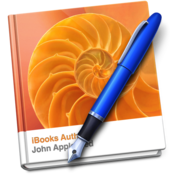 Those of you with experience of the books function of iPhoto will know that you can create beautiful looking books and calendars using the free software that arrives preloaded on macs. Well it seems like the new iBooks Author app lets you go further to create interactive images and text in the large colourful format that the playful interface of the iPad offers. iTunes U already allows educators to distribute lectures and educational resources to students, now there is a new app to extend this functions further. It seems Apple is ushering in a new era of publishing electronic content for learners and only time will tell if it will profoundly change the way we teach and learn. What do you think?